Romeo and Juliet is a classic story that has been revised, revisited and updated many times. As your students read the original text, this assignment will allow them to further relate to the story, as well as to identify the theme of star crossed lovers so immortalized by Shakespeare as it is carried out into other works. I had my students work in groups of three. Depending on your class size, groups can be larger. If possible, you do not want two groups selecting the same film to use in their project. The first job of the student groups is to choose one of the films. It is either an adaptation of Romeo and Juliet or a work very similar in theme and plot. Then, in groups on their own time, students should watch the film, taking careful note of its similarities to Romeo and Juliet. The student groups should prepare a video review of the film; a panel where they discuss the film and how closely it followed the plot of Romeo and Juliet. You may want to suggest that students gather copies of reviews of the film in order to aid them as they prepare notes or scripts for the panel discussion. 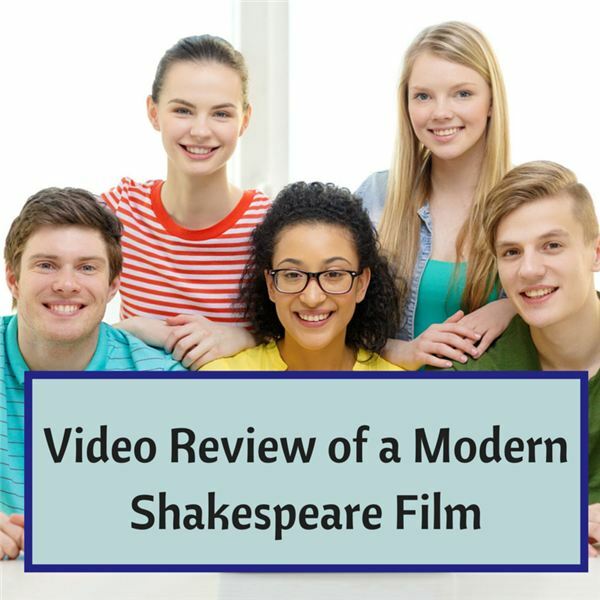 The student video presentation should include group members discussing the film and its connections to Shakespeare, personal recommendation regarding the film, and a short video clip from the film. The video presentation should be no longer than 10 minutes. Use the downloadable power point to present the project and the films that can be studied for this project. There is also a handout, detailing the assignment, where the teacher can list due dates for each task. My 9th grade Honors class had a wonderful time with this project and produced some highly intelligent and creative videos. I am sure your students will as well! These three lesson plans help students think about Shakespeare in modern times. Explore common phrase and film adaptions of Shakespeare’s works. Thirteen Shakespeare Phrases Your Students Will Know!